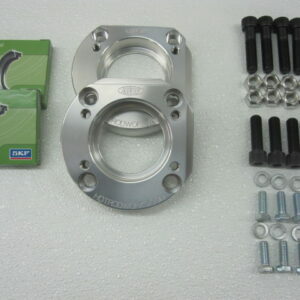 This conversion kit works with 1933-1948 early Ford “banjo” rear axles. 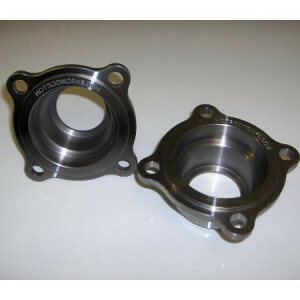 Four 11 tooth spider gears (Ford p/n 81A 4215) must be used with this conversion kit. Is it time to make your classic Ford more drivable and reliable? 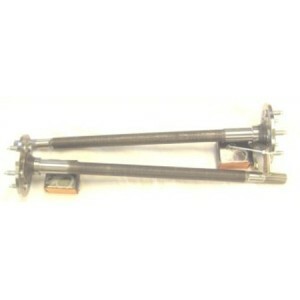 Upgrade your hot rod’s banjo rear axle to a modern slide-in style axle. 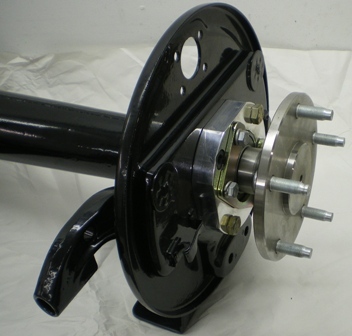 These flanged axles are stronger than stock axles and will be more securely held in place, better preparing your Ford for miles of trouble-free motoring. This banjo rear end conversion requires the use of 1939-1948 Ford or 1939-1941 Lincoln hydraulic backing plates and a 1940 Ford-style drum. The stock axle width is maintained. Interested? 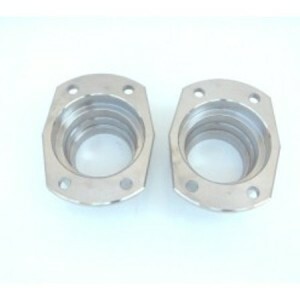 Please send us your axle housings, ring gear, and differential with 11-tooth spider gears. This conversion works with any standard wheel bolt pattern EXCEPT the 1936-1939 Ford wide 5 bolt pattern.